This filters are mostly used on images mentioned for web sites. The filter ImageMap is used to add clickable “hot spots” on the image. The filter Semi-Flatten is used to simulate semi-transparency in image formats without alpha channel. 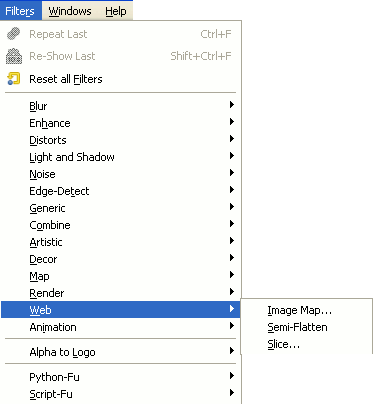 The Slice filter creates HTML tables of sensitive images.